For anyone remotely interested in the person behind this website, a few more details can be found here. 5.04.19: Added tuning lock function to Single Band si5351a VFO project. 27.02.19: Updated and improved software for SWR Meter project. 17.11.18: Added PVM, VFO PCB, I2C LCD mods, uBitx mic, MKARS80 VFO, plus minor changes. 12.8.18: Small project update, minor changes. 19.11.16: Some minor maintenance updates and corrections here and there. 20.8.16: Updated several pages, added new Nighthawk, aviation rx, xtal checker, cardboard LC meter and 8-digit counter box projects. 17.3.15: In which Andrew described how Yahoo sent his email to another continent!! Welcome to my website. 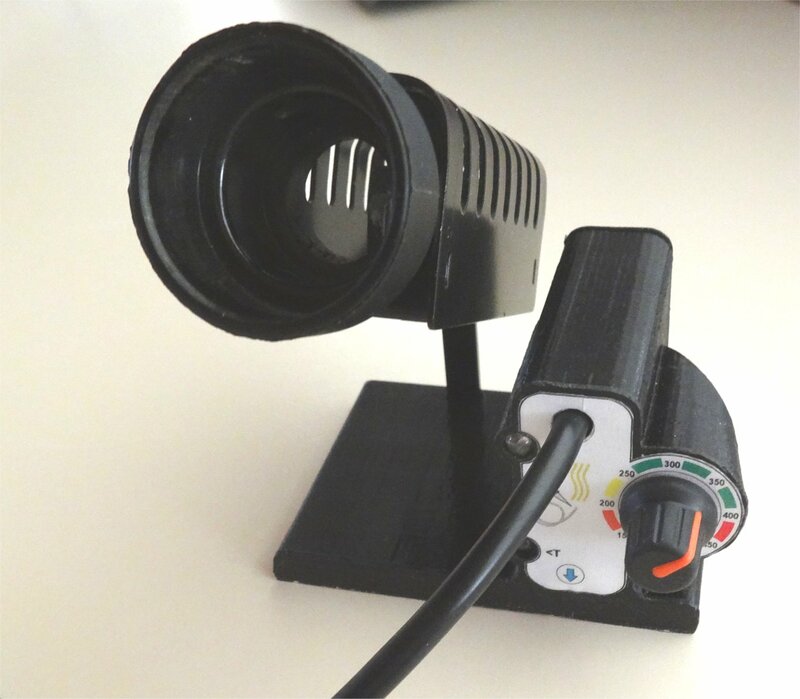 This site describes some equipment and circuits that I've designed and built. Many are related to amateur radio, but there are some test equipment projects, kit builds, and other things that I have designed. I'd like to claim it's all been done to a plan, but that's not the case. It tends to be pretty random around here. 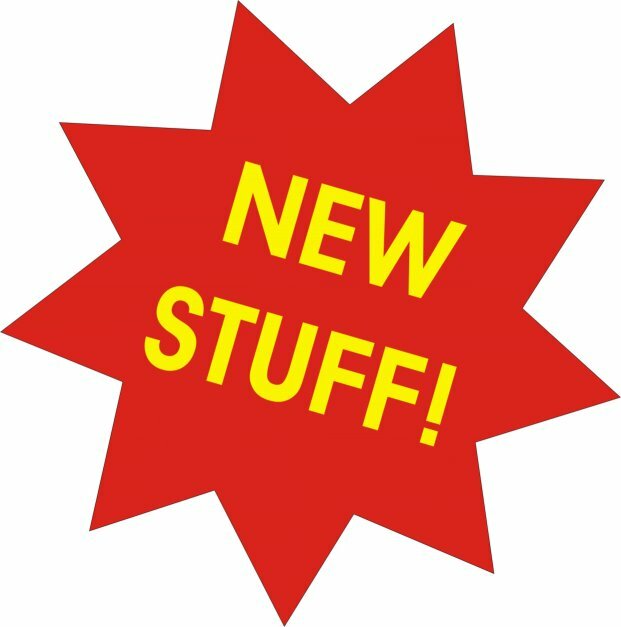 There are quite a few large and small projects about to be published so it will be worthwhile periodically checking back here to see the latest additions. After a request from some users, I've added a new feature to the compact single band si5351a VFO project - A tuning lock function. 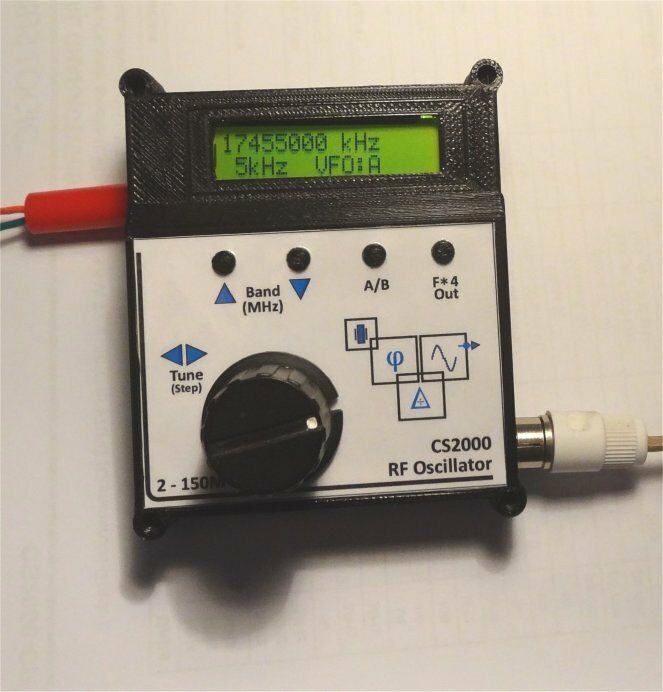 It's particularly aimed at those using the VFO in mobile, portable and QRP applications. A small 'lock' icon appears on the LCD when this feature is being used. Details can be found at the end of the page describing this compact little si5351a VFO. 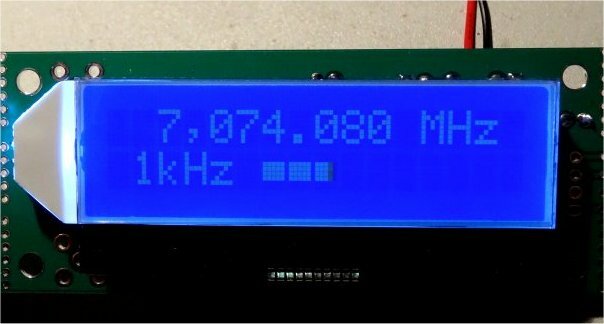 I have also recently updated the software for my compact digital SWR meter for QRP (low power) transceivers and transmitters. It's a tiny 50 gram device powered from a single AAA battery with a bright, easy to read, OLED graphics display. The new software resolves a problem with recently manufactured 0.96" OLED displays which didn't work correctly with the original software. This was brought to my attention by Bob ZS6RZ who also provided loads of help in testing the revised software. Thanks, Bob! In addition to fixing those issues, I've also added software for the ATtiny45 and ATtiny85, and added a new version to allow the use of the latest larger 1.3" OLED displays with their (similar, but different) SH1106 controllers. An AC delay timer for my bathroom heated towel rail. I designed it to save power and to avoid nagging my family members routinely about turning off such appliances. I know - A 'First World' problem. I've added some details about using a low cost I2C LCD from China with my single band si5351 dual output VFO/BFO. It's a larger LCD than the original Midas LCD from UK and it has a few more pins. My si5351a VFO designs have proven to be incredibly popular. There are kits for my designs all over the internet (none of them crediting me, of course). To help you build the single band VFO/BFO, I've designed a new PCB for the single band VFO/BFO. You can use either of the Midas I2C LCDs or the new larger cheap compatible Chinese I2C LCD noted above. You can find the layout here for your personal use only. Commercial/kit use? Email me. I finally got some time to build my MKARS-80 80m SSB kit transceiver which I purchased some years ago. It used a PIC as a frequency counter to control the analog VFO using the 'huff and puff' method. The Nighthawk 40m CW transceiver. 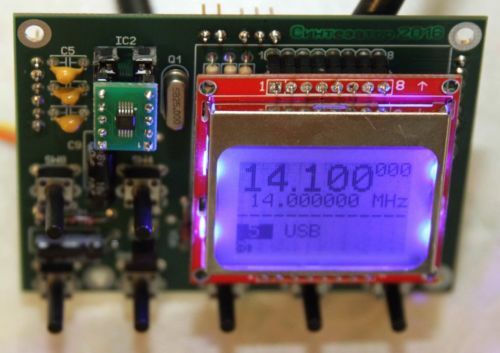 This tiny 10W-capable transceiver is a SW-40+ clone kit available from China. It arrived after a mix-up with my order for an SSB kit. I built it anyway. But then nothing worked. Nothing. My compact aviation band receiver. I added a channel-based control board to a widely available aviation band receiver kit. Then I packaged it in an unusually shaped 3D-printed enclosure to make it look more interesting. Even the knobs are printed. For those wanting a kit, there is one still available from RV3YF. The original kit he sold (without crediting me in any way for the hardware design or the software) is based the kit pictured above. My prototype does not look anything like as nice. And thanks to Cristi YO3FLR, there's a PCB layout available in the Download section on my VFO's webpage. Here are the details of an earlier design for a compact digital RF signal generator using a Cirrus Logic CS2000 chip. It's compact, with everything inside a small 3D-printed case. It generates a 3.3V squarewave output from 1.5 to 160MHz (although the specs on that chip claim it is limited to 75MHz) and draws less than 20mA from a 4 - 15V DC supply. It's really the result of a tale of woe and misfortune, but the circuit works... More details here. 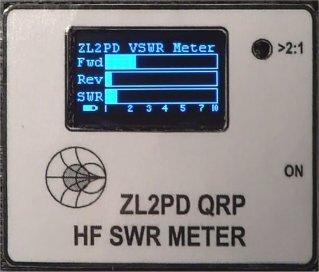 This is a compact digital SWR meter for QRP (low power) transceivers and transmitters. It's compact, lightweight, powered by a single AAA battery. It uses a super-bright and easy to read OLED graphics display. Did I mention it's small? And weighs just 50g ? More designs coming up soon, I hope. You'll find the complete list of these designs down the left hand side of this page. Simple 'click-on-em' buttons will lead you to each design. Schematics and other drawings are to be found all over the site, as are photos. Want to see the details close-up? Then just "right-click" on the image or schematic or whatever. Chances are, you'll now be able to see much more detail. And you can download it too, if you wish. For those looking for something a little different, here is a Four Dot Clock which uses just four cheap LEDs (Four dots of light, if you will) to display the time. It's surprisingly accurate. I only adjust it now about once every six months. More interestingly, perhaps, is the fact that, unlike most clock designs you might have seen, this one does not require another chip to actually do the timekeeping. The clock's ATtiny45 does all that, and more. And then there's this accessory for the temperature controlled soldering iron I mentioned earlier. 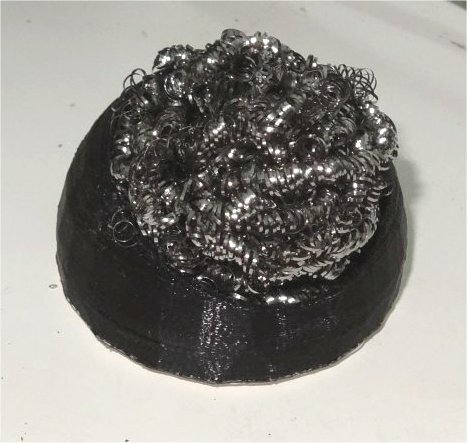 It's a tip cleaner accessory using an easy to obtain item from the supermarket, and printed on a 3D printer. Of course, all of the other designs are still available to browse and build, each listed over to the left in the index. Help yourself! Aside from a page chattering on a bit about Yahoo and mail, my website describes a variety of projects related to my hobbies of amateur radio and electronics. These include circuit diagrams, descriptions of how they work and what they do, PCB layouts (sometimes), construction details, and software for designs which use microprocessors or microcontrollers. For the record, the microprocessor designs here use the AVR chips including the ATtiny15, ATtiny25, ATtiny45 and ATtiny85, ATtiny2313, ATtiny26, ATmega8, as well as some earlier designs which use 8051 processors including the 80C552, 80C751, 80C51, 80C52, AT89C1051, AT89C2051, and AT89C4051, and so on. Almost all of my 8051 software is written in assembler while the AVR code is a mix of assembler and BASCOM (Basic). And there are some other projects still waiting in the pipeline. You use the information published on these web pages at your own risk! You may use the information provided here for personal or educational purposes but you may not reproduce it in any form or use this information for any commercial purpose without first obtaining written permission from the copyright holder. There is no warranty or guarantee, either expressed or implied, covering any information of any kind which may be available from this website, or that designs and information provided on this website are free from patent or intellectual property rights of the author or third parties. Should the information contained on this website be used by any party, that party shall by using the information provided be deemed to take complete responsibility for all risks and liabilities associated with its use and hold the author of this website harmless in the event of any claim, loss, liability or expense associated with any such use. The rights of copyright over the contents of this website, unless otherwise noted, are claimed by Andrew Woodfield ZL2PD.